One of the great surprises that we have realised since we launched our new website has undoubtedly been the large number of visitors we receive from Asian and Far East countries. We are particularly surprised by the number of visitors from the Asian giant, China. According to the information shown by the web analytics, the most visited section of our website is our catalog of ceramic designs. As you can observe if you visit it, Flexolaser develops and produces designs for digital injection and for rotocolor. In both cases we have a wide variety of materials such as marbles, stones, wood and textiles. The presentation of the different designs exceed 4 sqm of graphic variety, at a resolution of 360ppp, achieving the best posible clarity and maximizing the richness of color. 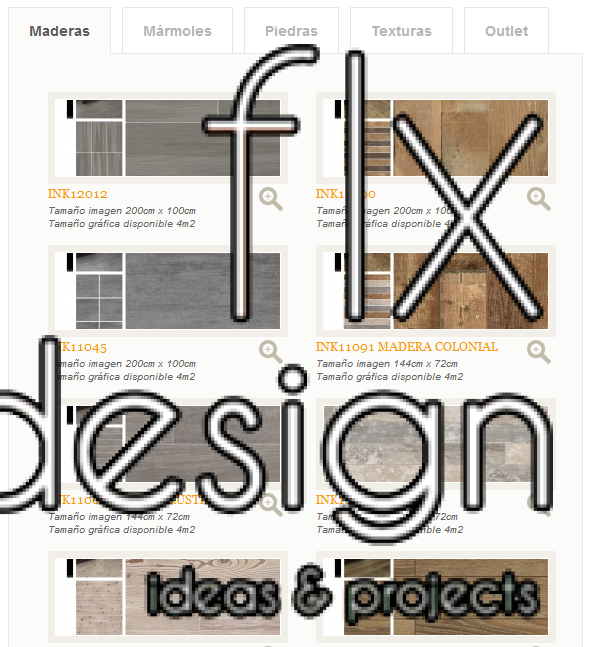 Currently, and due to the excelente opportunity to do business in a huge market like China, Flexolaser has signed a collaboration agreement with a Chinese company to distribute our ceramic designs in this large and increasing market. Through this new business collaboration is intended not only to offer the designs that are available in our Outlet section (cheap ceramic designs), but also develop custom work according to specific customer demands, adapted to their needs.